When presenting multiple tiers of pricing the default labels are "Value", "Standard", and "Premium". However, these labels are customizable. Let's take a look at how to change these and where these changes will take place. Once you have customized these to your liking changes will take place on both the web, and the mobile pad. Anywhere that the labels were shown prior will now be changed to the new verbiage. That includes your task list, manage book, and calculations tabs on the web. 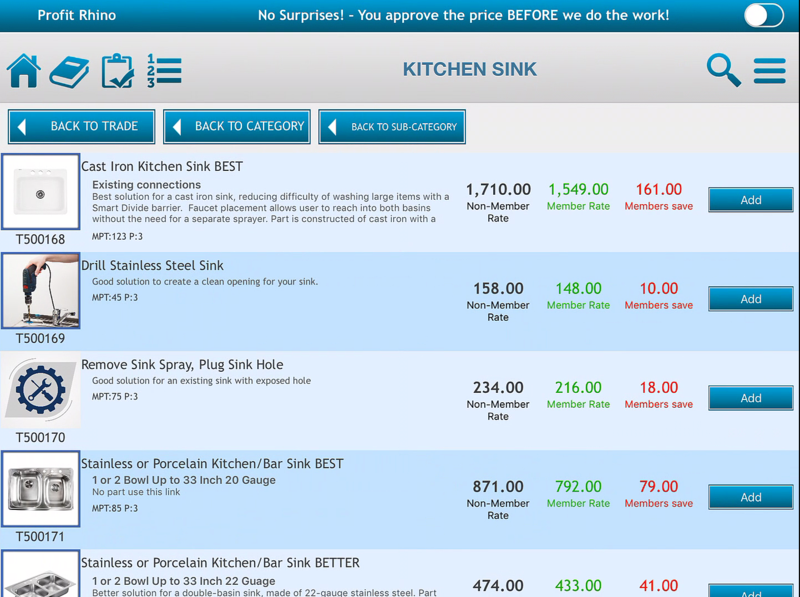 On the app it will update on your price book, work order, option boards, and their respective PDF's. Take a look at the images below to see the changes made in this example.